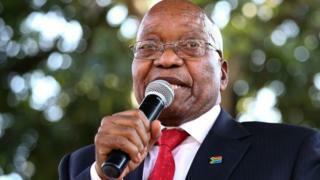 A public inquiry in South Africa has started investigating alleged corruption by ex-President Jacob Zuma. The inquiry is looking into "state capture", where the wealthy Gupta family is accused of trying to influence political decisions, including the naming of ministers. The former president and the Gupta family deny any wrongdoing. Opening the inquiry, commission head Deputy Chief Justice Ray Zondo appealed for South Africans to share what they know. "We urge all South Africans who love this country to come forward and assist this commission in order that we may resolve this problem," he said. Mr Zuma was ordered to set up the commission by the high court last December following a report by the public protector, South Africa's anti-graft body. The report, called State of Capture, found evidence of possible corruption at the top level of his government. It looked into whether the Gupta family influenced President Zuma's choice of cabinet ministers. One of the allegations is that in 2015 then-Deputy Finance Minister Mcebisi Jonas was offered 600m rand ($41m; £32m) by businessman Ajay Gupta if he accepted the post of finance minister. The public protector also investigated claims that the Guptas had bribed state officials to win contracts at the state-owned electricity company, Eskom. The Guptas said last year that there were no cases to answer and that they were in the process of clearing their name "in the face of unfounded media allegations". For many, the old adage that justice delayed is justice denied applies here. It is hoped that the commission will shed light on allegations of massive corruption that have gone on for far too long. But for others, this is the beginning of a two-year process that will waste taxpayers' money and may not result in any prosecutions. The 76-year-old former head of state still commands considerable support within his party, the ANC. His supporters believe that he has been unfairly targeted. They often say he has already been found guilty in trial by media. This inquiry though will have little or no effect in next year's elections as the party has moved to neuter its possible impact. What are the allegations against Zuma? The inquiry will look into whether the former president played any role in the alleged offering of cabinet positions to politicians. One politician, former ANC MP Vytjie Mentor, told the public protector that Mr Zuma was at the Guptas' Johannesburg home in 2010 when the Guptas offered her the post of public enterprises minister. The family wanted her to cancel South African Airways route to India, she alleged. The inquiry will also investigate whether Mr Zuma, and any other public officials, and their families, benefitted from the awarding of public contracts. 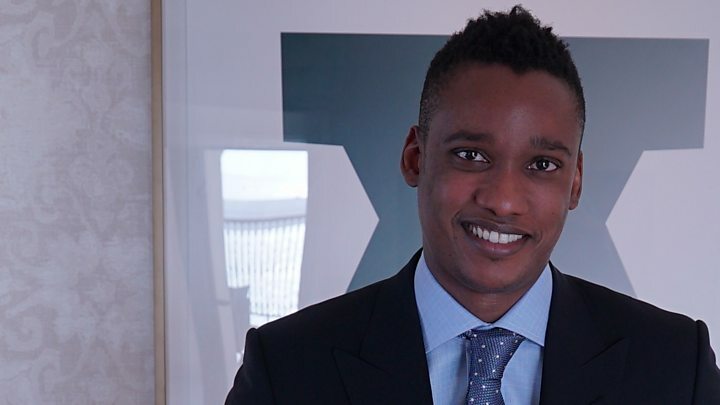 Mr Zuma's son, Duduzane, woked for the Guptas and has also been implicated in the allegations. He denies that his relationship with the business family was improper. What powers does the commission have? The inquiry, known as the Zondo Commission, does not have power to prosecute but the evidence it collects can be used in any future prosecution. It can compel people to give evidence and Mr Jonas and Ms Mentor are expected to be among the first witnesses to appear. The commission could take up to two years to release its findings.